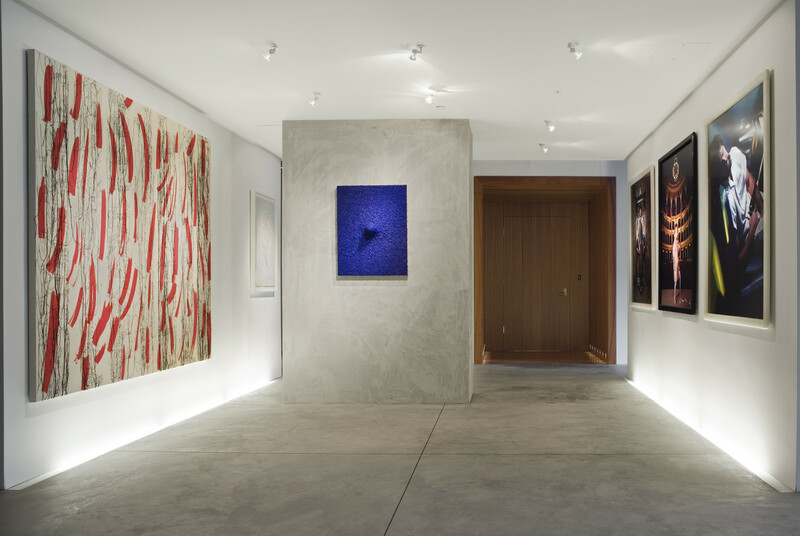 For the space adjacent to their recently completed apartment, our clients came to us with a multi-function program that includes art gallery, guest residence, and reception space for groups of various sizes. The space is one large sparely finished container with a richly finished service core. 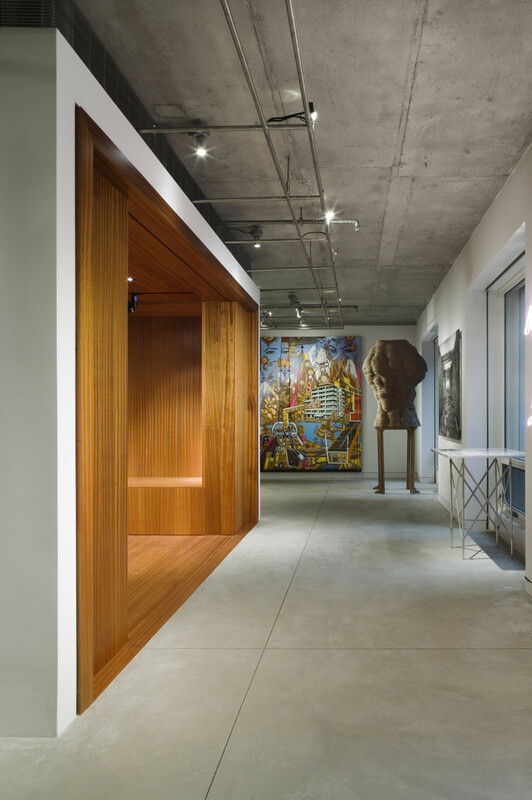 The space between the container’s shell and the service core becomes an open and continuous gallery for various works of art where the spare architectural finishes provide a mute background. The placement of the core within the container creates display spaces of varying scales, proportion, intimacy and flexibility. 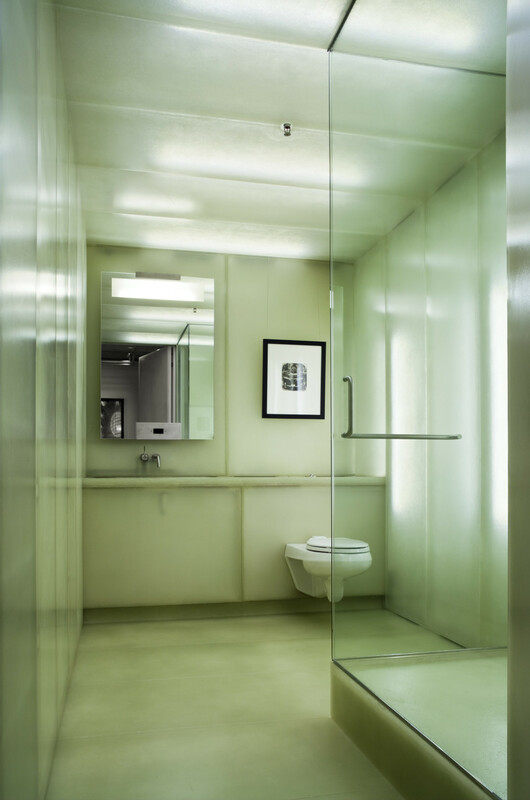 The service core houses the kitchen, bathroom and convertible bedroom. 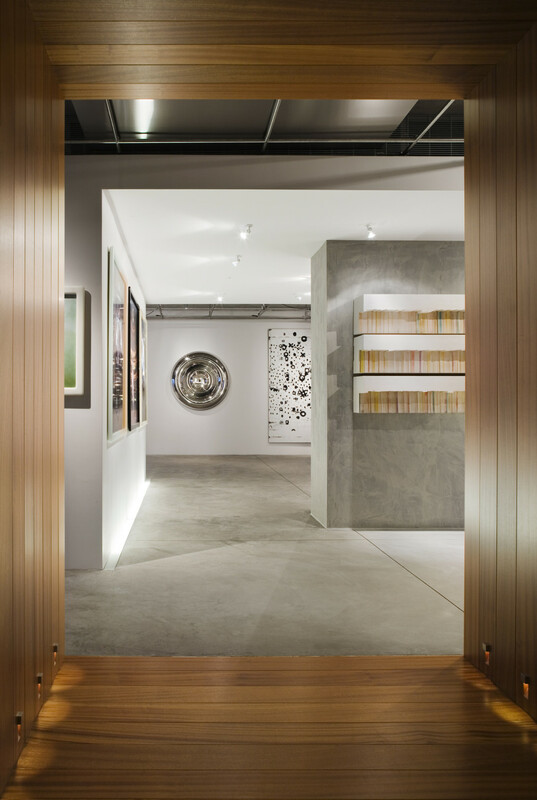 In contrast to the spare finishes of the gallery space, the service core is finished with rich and visually tactile materials so that even the service spaces provide a sensory experience; polished red lacquered millwork at the kitchen, sapele wood lines the bedroom, translucent fiberglass lines the glowing bathroom.